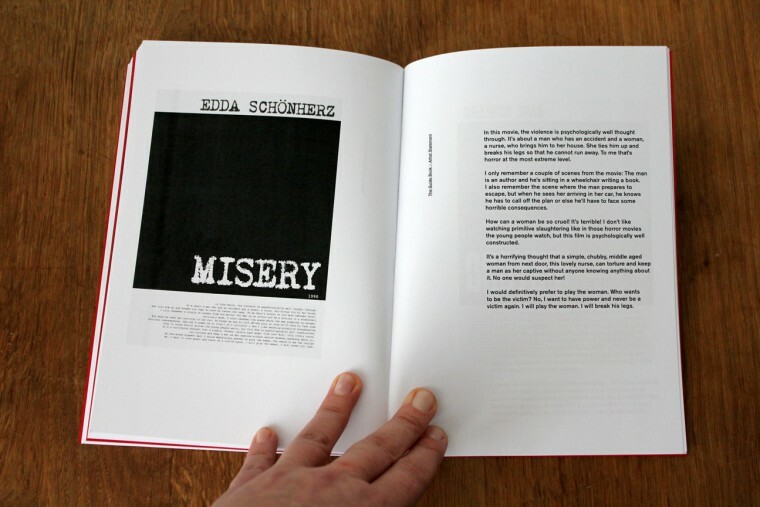 The guidebook functions as a catalogue for the art project Direct Approach and serves at the same time as a practical working guide on how to put an always current and relevant topic such as violence on the agenda and both creatively, theoretically and practically work with the topic. 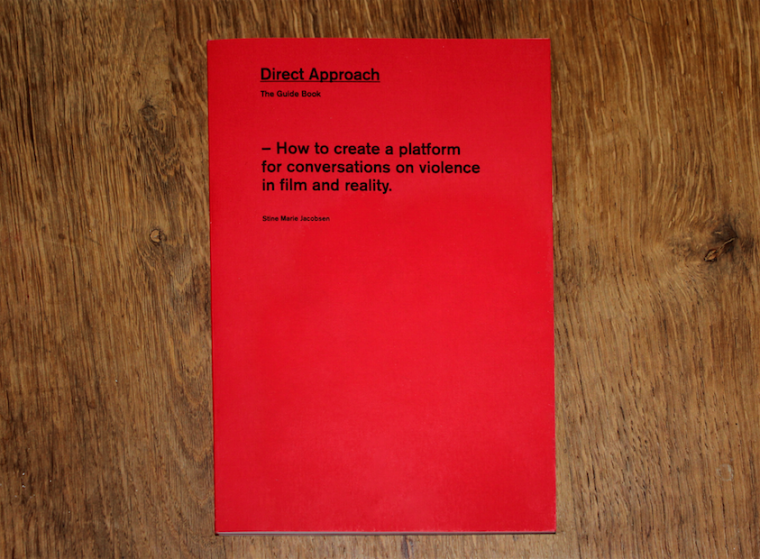 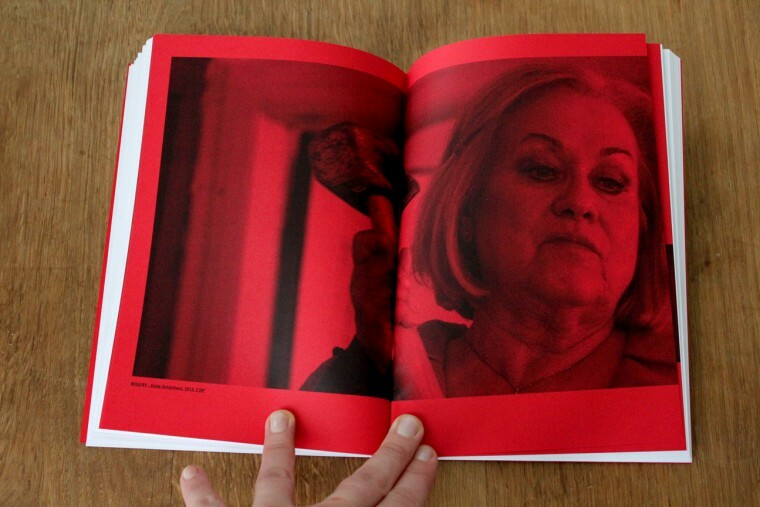 The guidebook consists of several interviews called ‘statements on violence’ and includes a recipe for the art project Direct Approach in a concise and clear step-by-step instruction which shows users of the book how they can individually interview each other about the most horrible film scene experience and how the film scene can be remembered down to the smallest detail. 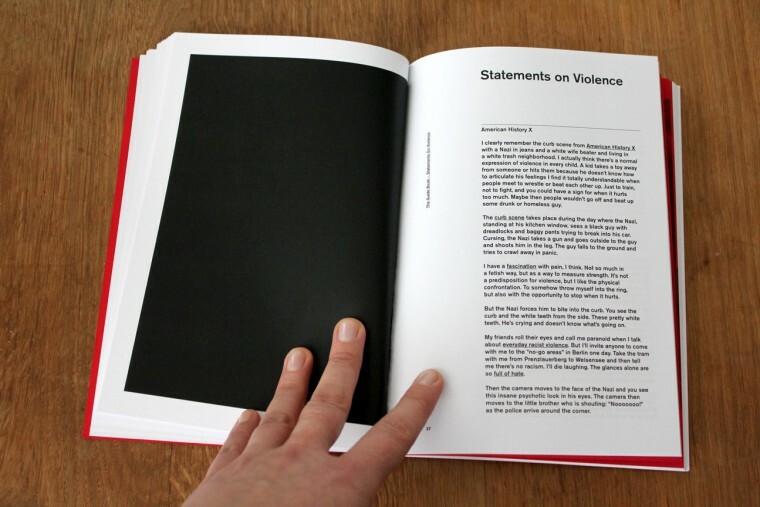 The method focuses on identification and understanding of violence in films and reality and the goal of the guidebook is to become an inspiration and useful tool for schools and other institutions who wish to work with the topic violence. 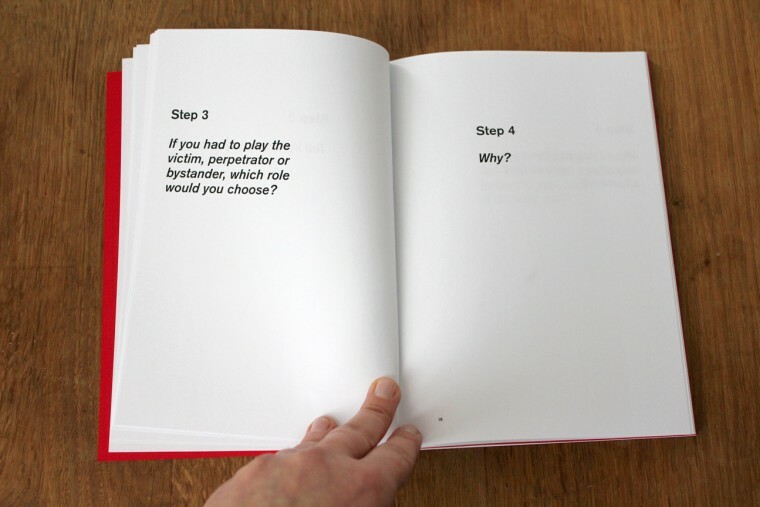 After reading the guidebook you can use the additional guidelines here on the workshop page.